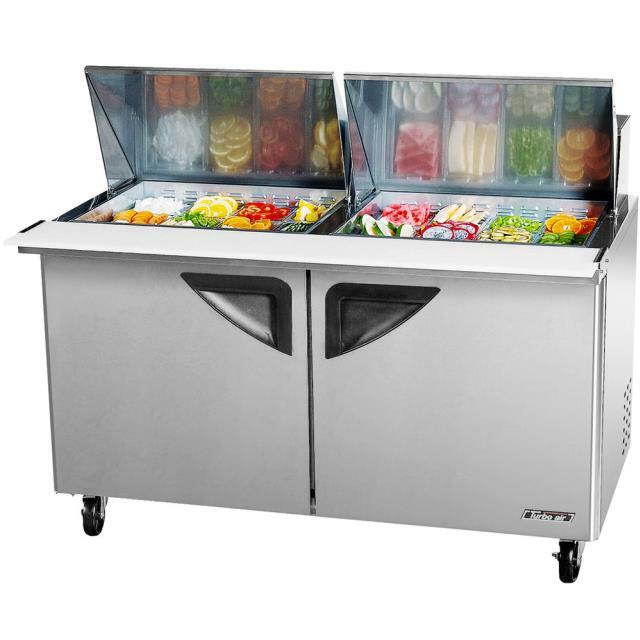 Super Deluxe Mega Top Two Door Refrigerated Salad / Sandwich Prep Table with Deluxe Shelving and cutting board. Great way to serve cold food. Also has refrigerated storage under the bar. * Please call us for any questions on our refrigerated serving bar rentals in Tacoma, Lacey WA, Olympia and the South Sound Metro area.